Eric Chisnall literally burst onto the scene towards the end of the 1966/7 season. 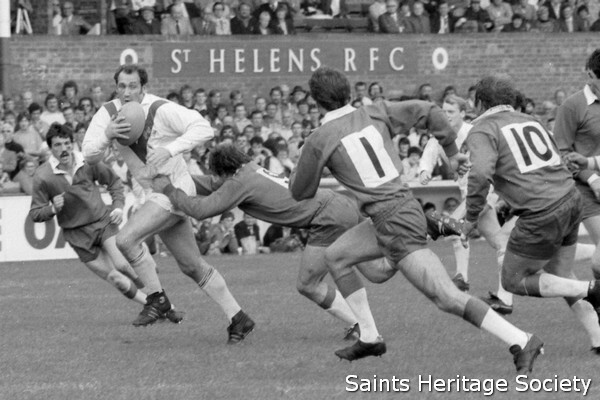 This fast elusive locally born second row forward was destined to become a member of the exclusive member of the Saints '500' Club - the elite band of four players who have made more than 500 appearances for St Helens RFC. 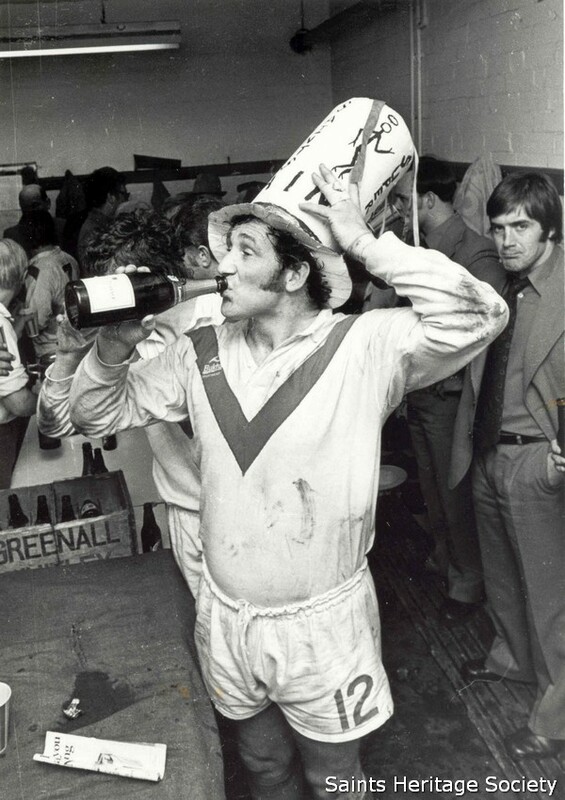 The 1968 Lancashire Cup Final saw Eric roar in for a try that sealed the win over the 'Roughyeds'. Eric's game featured the ability to offload in the tackle. Chisnall ably demonstrated this part of his game in a wonderfully worked try at the start of the 1970 Championship Final when Saints went on to win by 24 points to 12. Eric was also a very solid tackler and this aspect of his game was required in the 1971 Championship Final when the Saints had to restrict a tremendous Wigan onslaught in the second half. If you are going to complete a career of over 500 matches then a player needs to be of top quality and extremely durable in the toughest of all sports. Eric played an incredible 53 matches in the 1971/2 season as the Saints pressed for honours in all competitions. 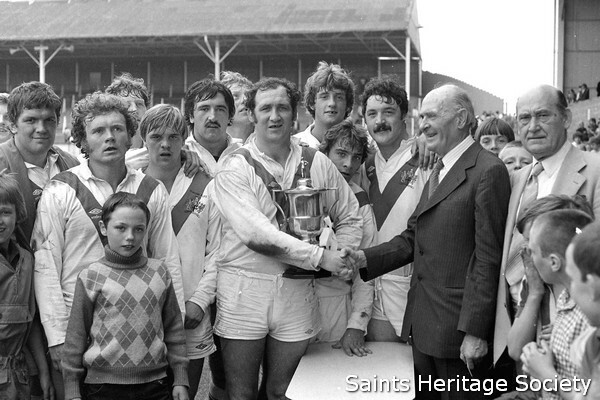 Saints triumphed in the BBC TV Trophy and the 1972 Challenge Cup at Wembley. In the latter match as Saints pressurised the Leeds defence in the first quarter of the match a cross field move found 'Chizzy' characteristically out wide in the centres. A beautifully timed pass from EC presented Les Jones with a golden opportunity to score in the corner and the Parr flyer duly obliged. This stretched Saints' lead to and despite constant Leeds pressure through the remainder of the game; the boys from Knowsley Road were never to surrender their advantage. Chisnall's reputation as a fine all round player had already earned him four Lancashire caps by the time he was selected for the 1974 Australasian Tour. The four tests Eric played down under provided him with his only Great Britain caps. The 1974/5 Championship winning highlighted his consistent play, safe hands and excellent defence contributed to one of Saints' best ever league campaigns as they finished top of the league some nine points ahead of nearest challengers Wigan. The 'Glory Trail' for Eric and the Saints continued the following season as the BBC TV Trophy, the Challenge Cup and the Premiership were all won at a canter. In the 1976 Premiership win over Salford, Eric stormed onto a ball to weave his way past three defenders and plant the ovoid beneath the posts and seal the match for the Saints. One year later Saints faced Warrington in the same competition final and 'Chizzy' was on hand to help subdue the highly regarded Warrington pack. In this match he was aided and abetted by his brother Dave who had joined the Saints that very season.